Toxic chemicals are everywhere. In the food we eat, the water we drink, even the air we breathe. Read our list of resources to find out more about ways to avoid toxic chemicals in your everyday life. 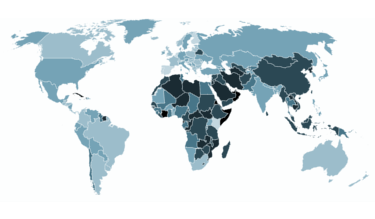 This report presents the findings from CRIN’s research of anti-terrorism legislation in 33 countries across five continents. It shows that counter-terrorism measures are leading to extensive violations of children’s rights. In this guest post for CRIN, Mariel García-Montes discusses the tension between children's rights organisations and digital rights groups, and the importance of recognising children's agency. Children's rights to live, learn and grow are violated daily by toxic substances – especially in the air, water, soil, and consumer products. This briefing outlines the causes and extent of the problem, and proposes an approach towards effective remedy and prevention. In March 2017, Kuwait abolished the death penalty and life imprisonment for offences committed while under the age of 18. Status offences criminalise actions for only certain groups of people, most commonly because of their religion, sexuality or age. This new CRIN report examines how these offences affect children and the new forms they are taking. Find analysis of how children can access justice in every country. Sign up to our massive global network of activists working in children's rights in every country. Information is power. Find and share resources to gain knowledge and expertise on children’s rights. Children are suffering violations of their rights every day. Don’t stay silent. Charity is not enough. The death penalty, life imprisonment, flogging and amputation remain lawful sentences for children in Saudi Arabia.